This is the second part to my list of reviews of various skincare products I’ve used on my dry, sensitive and breakout prone skin. Enjoy! 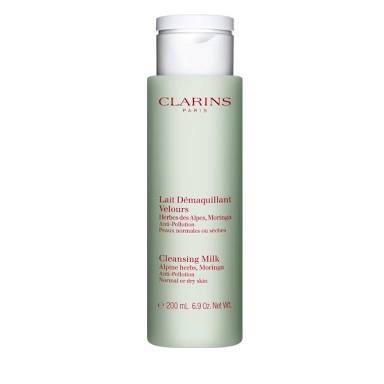 As mentioned in my previous post, I used to work under the clarins group, but I actually bought this when I was repurchasing the cleansing milk to qualify for a gift with purchase (I’m not the only one who has done this). It was recommended to me on counter as it was within my price range, targeted for my skin type and age group and I quite liked the consistency. This product is available as both a cream and a gel cream, and I opted for the gel as it was more lightweight for summer. I had no issues with sensitivity or breakouts, but it wasn’t as hydrating as I would have hoped and I found that it made my skin feel a little sticky after application, but that would fade away after half an hour or so. It looks beautiful under makeup, but it wasn’t fantastic for my skin. It’s probably better for a normal skin type than my dehydrated skin and it’s nice and lightweight. The price is also right as it was around $40AUD. I was given a deluxe sample of this by a friend who works at kiehl’s who was concerned about my sensitivity. This product was really hydrating and very gentle. It feels beautiful on the skin and looks great under makeup. I had a mild breakout, but this was also during my first few weeks of trying my clarisonic and when I tried it again later, I didn’t have that issue so I think it was more of an issue with the initial breakouts you get with a clarisonic and less to do with the formulation. This is a product I would use again as it’s economical to buy and a good all rounder. This is another old faithful of mine. The consistency is very lightweight and it smoothes out and soothes the skin almost instantly. 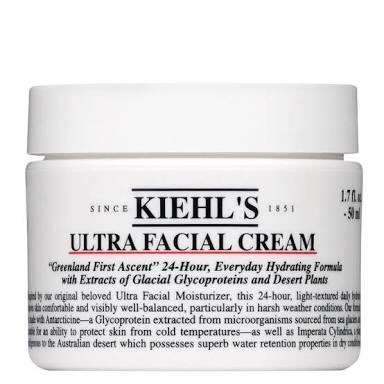 I prefer it in the summer as I need a more heavy duty moisturiser in the cooler months, but I can’t really fault this product except for the slight sheen that it leaves on the skin for a couple of hours afterwards. It’s beautiful under makeup but I honestly would only use this with the rest of the Clinique 3 step products, where I feel it works best. I was given a couple of samples of this by the beautiful girl from la met after we got talking about my quest for the perfect moisturiser. This moisturiser was amazing on my skin, but it’s very rich and I realised quickly that a little goes a long way. The consistency is quite firm initially and it sort of melts onto the skin once it’s warmed by your body heat, so it’s better to leave on the back of your hand for a couple of moments before applying unless you’re having a mid winter dry skin crisis and really need the extra product. The price made my eyes water though, so I never repurchased it and, while it was lovely, it isn’t lovely enough for me to justify the price tag when there are a lot of other wonderful moisturisers on the market. 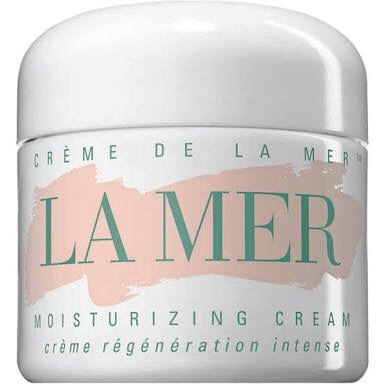 I fell in love with this moisturiser when it came out. 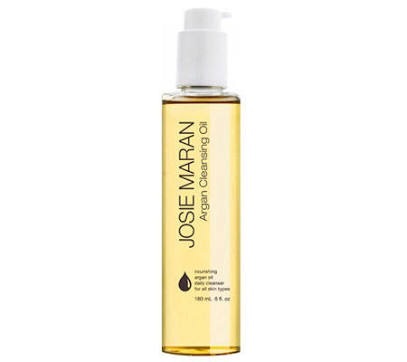 It’s very rich and heavy, but feels feather soft on the skin and is incredibly hydrating. It also smells divine, just like rose water. I had no issues with my skin whatsoever using this product as it’s designed for all skin types and marketed towards “stressed” skin. It’s not cheap, but a wonderful moisturiser to have in your arsenal. This, on the other hand, hated me. The fragrance made my skin irritated and sad. I broke out, I got a rash on my cheekbones and it added an unwanted sheen to my skin. I was devastated, I really wanted to love this product but it simply wasn’t meant to be. I would recommend this oil for more mature skin, or dry skin which isn’t sensitive or even a combination to oily skin type instead of a night cream. A cool feature of this product is that you’re able to add a few drops of it to any other moisturiser to turn it into a night cream or treatment, just make sure you’ve checked your skin for irritation first. I trialled this recently as I needed a new moisturiser, but didn’t have a huge budget for it. 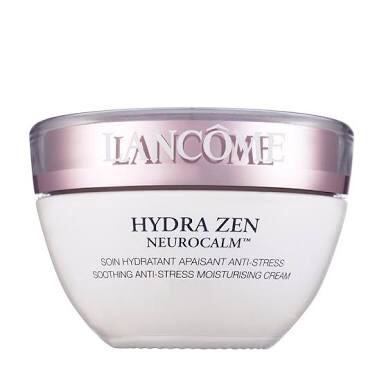 This cream is hydrating, but not overly rich. It’s lightweight and absorbs in quickly, which is great under makeup, and it also smoothes out the skin slightly. Your skin will be natural, not dewy, after it settles into the skin, which is great for those who have more combination skin and don’t want to look shiny. I like this product, but I don’t love it. It does it’s job, but doesn’t improve the skin by any means. It doesn’t irritate or break me out, which is fantastic, but it’s an ok moisturiser, not a great one. I bought this with the hyaluronic day cream. 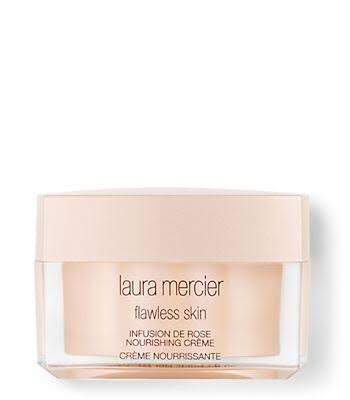 It’s nice and affordable, which is a plus when buying a night cream as they can be very expensive. 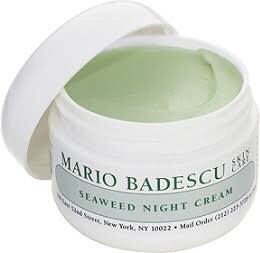 Again, this cream is probably better for normal or combination skin, even oily skin. It mattifies slightly and while it’s moisturising, it starts off sticky and takes an effort to really work it into the skin. It stops being sticky after a few minutes, then settles to a natural matte and smoothes the skin. 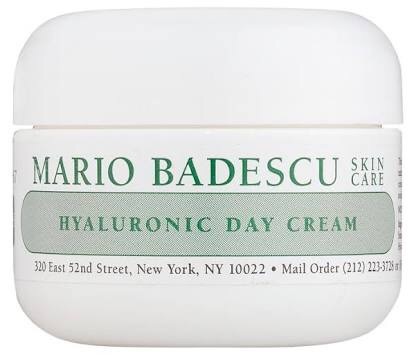 Again, no irritation or breakouts but, like the hyaluronic day cream, it was ok. It’s something I would buy when I have a lower budget, but not something I would buy if I was more cashed up and had better options available. 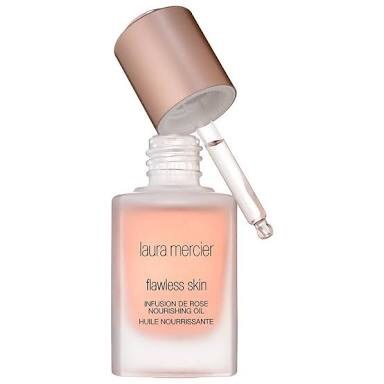 This is a game changer for eye serums. 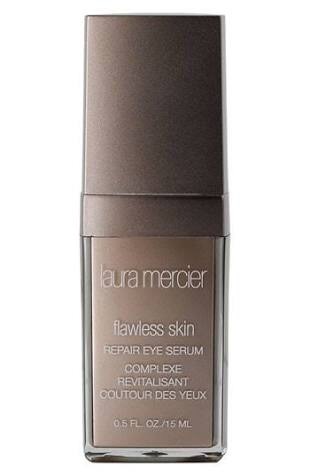 It’s super hydrating, non irritating and has an optical brightener so it actually slightly counters the appearance of dark eye circles and brightens. It’s made with argan oil as a key ingredient, but it’s not too rich or oily. It’s actually surprisingly light weight and I love using this. I’ll give you a minute to recover from the ridiculously long name. Ok, still there? Good. Stick around for this review. This was the holy grail of moisturisers for me. It’s a beautiful consistency, not too heavy but not too light. It isn’t shiny, but gives a naturally dewy finish which glows under your makeup like you’ve been eating well and have an adequate amount of sleep. As I see the statistics of who views my posts, I know you’re not sleeping well because you guys are on my blog at 2am. You probably need this. A little goes a long way. The moment I applied it, I could almost hear a chorus of angels because it starts soothing the skin straight away. It’s so comfortable and does everything it’s meant to do and more. I won’t start raving, but I would like to. What’s your favourite moisturiser? Leave me a comment! Don’t forget to follow me on Facebook and Instagram. I also have a personal Instagram for those of you who feel like viewing my non makeup related antics! The Molotov pigtails guide to skincare for sensitised skin. Part I- cleansers. I’ve always had difficulty finding skincare which works for my skin as I have very dry, sensitive skin but I’m also prone to hormonal breakouts (fun!). As a result, I’ve tried a lot of different cleansers, moisturisers and serums, oils and toners to see which works for me. Here is a list of products which I’ve used and some short reviews to accompany them, as you may find them helpful. I’m not sponsored by any skincare brands, so these are either products that I’ve bought myself or have been sampled by various counters. 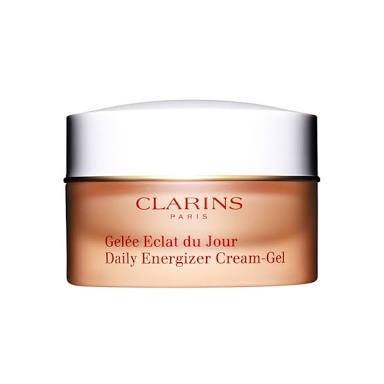 I’ll be breaking this segment into a few parts, so this is part I.
I was working for a brand who was owned by the clarins group, so I was able to buy clarins skincare at a discounted price for a short while. In this time, I bought myself a small bottle of the cleansing milk and repurchased it again at a department store a few months later at the full size as I really liked it. This cleanser is very gentle, quite moisturising and really smoothes out the skin, however I found better results using it with my clarisonic as I found that it didn’t really cleanse away leftover makeup or dead skin without the buffing motion of the clarisonic brush. In my opinion, this cleanser would be fantastic for extremely dehydrated skin, especially more mature skin, but if you wear a lot of makeup (like I did when I was working on makeup counters), you’ll need to invest in a heavy duty makeup remover or use a cleansing oil beforehand. I had some friends working at the shu uemura counter who were kind enough to give me a sample bottle of the cleansing oil (the green one, as they said it would work well with my skin type). 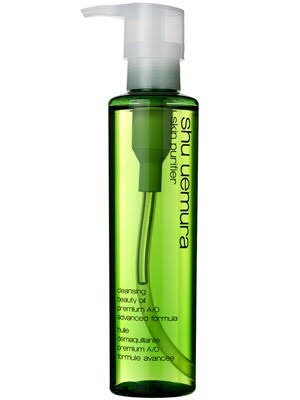 I have always loved shu uemura cleansing oil, but this was definitely more gentle than the original formula which I used a few years ago. It works beautifully to remove all traces of makeup and hydrates as it cleanses without making drying out the skin or adding a sheen of oily residue. I found I still need to moisturise quite a bit afterwards, as I have quite dry skin, but I encountered no sensitivity or breakouts as a result. I bought a bottle of this product from MECCA around a year ago as I was searching for the perfect skincare. It was more hydrating than other cleansing oils I’ve used, but it was so sticky. The texture really put me off, especially as it’s really hard to rinse off because it’s the consistency of honey. It tastes foul and, unfortunately, tends to run onto your lips because it’s really sticky. However, it did a beautiful job of cleansing off all makeup and debris and also left my skin very hydrated, so I didn’t need to use heaps of moisturiser afterwards. I also didn’t have any issues with breakouts or sensitivity. I bought this from Priceline a couple of months ago as I really needed a new cleanser and was on a bit of a budget. It’s very cheap (under $10), so I didn’t have an issue with buying it without any knowledge of how it would work because I wouldn’t have felt bad if I had an irritation and had to give it to someone else. I use this with my clarisonic and find it works really beautifully with it. It’s by no means improved my skin texture, but it also hasn’t made my skin worse and I’ve had no reactions for it. Definitely a good budget buy. 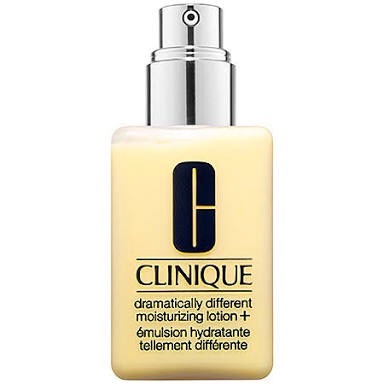 I was a devotee of Clinique skincare for years, as a result of buying the three step for ages, there’s always a bottle of this laying around in my house which I’ll use when I run out of cleanser or in between brands. This is a product that I always go back to. It’s very gentle, it cleanses well and I never have any bad reactions to using it. It’s also not a ground breaking formula, so while it does the job, it’s nothing special by itself. 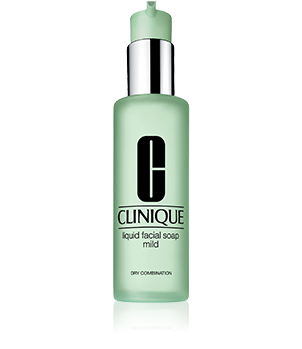 it works better with the entire three step and is probably one of the products you can substitute easily when using Clinique skincare without messing up your results. Nonetheless, it’s not too expensive, it works well and I will always have some handy in my bathroom. Which cleansers would you recommend for dry/sensitive/angry skin? Leave me a comment below. I’m available on Facebook and Instagram. I also have a personal Instagram, if you want to follow my antics outside of the makeup world.